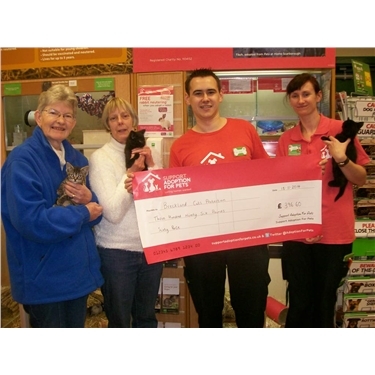 Cat Protection being presented with another cheque from Pets At Home for just under £400. The two little black kittens on the picture are also looking for loving forever homes. Very many thanks to them for their continued help towards Cat Protection Breckland.